This approach is simple but has a significant drawback. Notice how the Contact struct has two optional properties: phoneNumber and username. These properties are conditionally assigned a value, based on the contact type. The rules for when each property should be nil are not obvious unless a developer happens to read the property comments. A design like this enables developers to make mistakes that could be easily avoided. It would be better if you could not accidentally access a property whose value is nil, because you forgot to check the contact type. The Contact enum has two cases. Each case has an associated struct value. When working with this enum it is impossible to accidentally access the wrong property, such as an AddressBook contact’s username, or a FaceBook contact’s phone number, because there are separate structs defined for each kind of contact. Those structs contain exactly the values relevant to their contact type. No need for optional properties. Hurrah! To facilitate this, you could create computed properties on the Contact enum that read the corresponding property from each associated struct value in a switch block. This problem can be remedied through the use of Swift’s Mirror API. Mirrors are Swift’s way of allowing for introspective code; in other words, for code to reflect upon itself at run time. 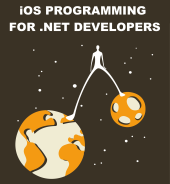 Compared to other platforms, like .NET or Java, a Mirror provides only very rudimentary reflection support, but it’s enough for our purposes here. It’s important that the properties added to Contact have the exact same name as the properties they map to on the structs associated with the enum cases. The usage of Swift’s #function means that the name of the property which calls value(of:) is passed in as the propertyName argument. The downside to this approach is that it is less safe. This relies on the use of naming conventions. It is not something the compiler can guarantee will work at run time. The implementation of the value(of:) method force-unwraps optional values in several places, which is a sign that this code is going to crash if things are not correctly set up. I want it to crash if it encounters a problem (such as if a struct does not have a property with a certain name and type), but that’s only necessary because the compiler cannot police this kind of code. If you prefer the comfort of knowing that the Swift compiler always has your back, this solution is not for you. The code presented here is just a rough sketch. It might not meet the needs of your application, but it can be a simple starting point for further enhancements. This entry was posted in Swift, Uncategorized and tagged Swift. Bookmark the permalink. Great suggestion! I had never realized that reflection is possible for enums. Unless I am mistaken, in the second code snippet, Tom should have a ContactType of .faceBook. Also, Facebook is not camel cased. I used camel case for FaceBook because I preferred to have it use the same casing as AddressBook. No big deal. But thanks for pointing it out. Doesn’t that solve all your problems? Thanks for the feedback. Sure, your code would definitely do the trick for the small example I used in this article, but it would become less usable when working with larger model types. Suppose the Contact enum had ten cases instead of two, and the various cases had 6 shared properties, and 5-10 unique properties each. Imagine how tedious it would be to unwrap the contactType in a switch block, how many ways you could get it wrong. What about when some of the contact types need to have properties added or removed? In that situation it’s much easier to have separate structs defined for each contact type, which is why I promoted that in this article. I would make each case have a struct for the unique properties, that would solve most issues (and is what I’m doing today). The only case I see your method could be better, would be in the case of the removal of a shared property from one of the cases. Interestig, the protocol extension should be augmented to deal with classes. In the case where this pattern would be use with different classes sharing a commun base class on which the properties are stored. Currently only the subclass properties would be inspected. Very interesting way to use Mirror but those force-unwrap make it seems a bit hacky (or at least dangerous). Maybe I misunderstood your issue but wasn’t it enough to keep the contactType unrelated stuff (id & name) in the struct Contact and just move the specific parts in the type ?